Author huntshappyhomeschoolPosted on October 26, 2017 Categories HomeschoolTags art, Bible, challenge, children, chores, classical, culture, dyslexia games, encouraging, encouragment, family, flexible, free, fun, fun school, giveaway, God, help, home, Homeschool, Jesus, kid, kidartlit, life, love, mamas, mom, new follows, October, reading, Sarah janisse brown, small school, spontaneous, teenagers, teens, The Thinking Tree, Thinking Tree, working mamas4 Comments on Thinking Tree Giveaway Tomorrow! When should I have my next Thinking Tree giveaway? 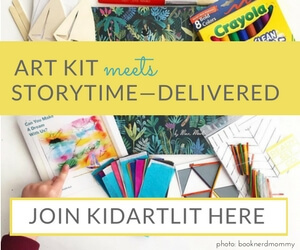 I want to make sure and include working mamas, so I am going to show the book and leave the video up for you all to leave comments (That’s how you are entered to win). Then I will post the winner the next morning. Let me know when you all want me to have the The Thinking Tree Journal giveaway! What day of the week is best for most of you? 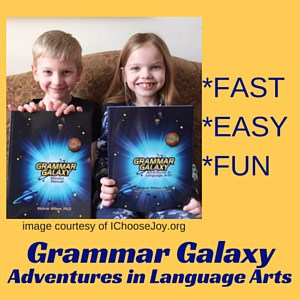 I will also be scheduling the Grammar Galaxy review and giveaway soon. The boys are really enjoying it, so I can’t wait to share it with all of you! Please share about the giveaways! I hope you have a fantastic day! I have to say: Facebook has nothing to do with either of these giveaways. Author huntshappyhomeschoolPosted on October 24, 2017 Categories HomeschoolTags Bible, challenge, children, chores, classical, dyslexia games, encouraging, family, flexible, free, fun, fun school, giveaway, God, help, home, Homeschool, kid, mamas, mom, new follows, October, peace, reading, ritual, sArab janisse brown, schedule, small school, The Thinking Tree, Thinking Tree, working mamas2 Comments on Chime in! Well, we went for a goal of 50 new followers and we did pretty good, but didn’t quite make it. I truly appreciate all of you sharing my blog and I hope you continue to enjoy our little adventure in homeschooling. I hope I encourage you all and help you realize you are not alone especially during the difficult times! We are here for each other to listen and if wanted, give advice. Author huntshappyhomeschoolPosted on October 12, 2017 Categories HomeschoolTags birthday, cake, children, culture, encouraging, encouragment, family, fun school, giveaway, God, help, home, Homeschool, kid, kidartlit, love, mamas, mom, new follows, October, peace, reading, working mamas4 Comments on We tried! Hump day already! I swear the older I get the faster time seems to go. Anyway, I decided to make Wednesday’s our “What’s Up Wednesday” post. Where we share what we have been up to for the week and where you can share how your week has been going. 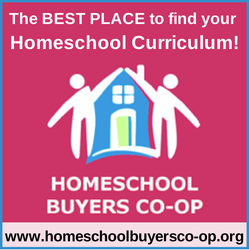 It can be about hhomeschooling, anything you want to brag about or get off your chest. So, without further adue….our first, What’s Up Wednesday! So, I’m not going to lie….this week has been a llittle frustrating. Nothing major just the boys not wanting to do chores or school work or go to bed. Like any normal kid, right? Don’t get me wrong, we have had a lot of good times too. WH is really into classical music from around the world. We have been listening to it during school. It distracts him a little, but I think the cultural exposure is a huge positive. He is also really starting to understand math. I think using the Thinking Tree journals and Life of Fred together are helping him grasp things. LH is taking off with his reading ….he is reading books to his younger brother and starting to gain a lot of confidence because of that. WYH, now he is a different story and we are still trying to use all kinds of things to help him learn. He is a hands on learner. He doesn’t like to sit down and write in journals or read a book. He has enjoyed listening to The Mouse and the Motorcycle book at night. Teach your monster to read has become a God send. He is starting to read and doesn’t even realize it! He loves building so I usually have build some kind of structure with blocks too. This week I have slacked a little with that though. Update on possible birthday giveaway giveaway: we have gotten several more followers and we are getting close to our goal of 50 new followers! We still need 15 more by tomorrow morning! If we get there by 9:30 am Eastern, we will do the extra Thinking Tree review and giveaway! So, keep sharing and sharing! We are so close to the goal! I really want to give something away! Also, I am going to do it a little different. I will do the live review, but to make sure we give working mamas and others time to see it and comment, I won’t announce a winner until Friday morning! Have a great day! Author huntshappyhomeschoolPosted on October 11, 2017 October 11, 2017 Categories HomeschoolTags children, culture, encouraging, encouragment, family, fun school, giveaway, God, help, home, Homeschool, kid, life, literacy, love, mamas, new follows, reading, skills. kids, teenagers, Thinking Tree, working mamas7 Comments on What’s Up Wednesday!